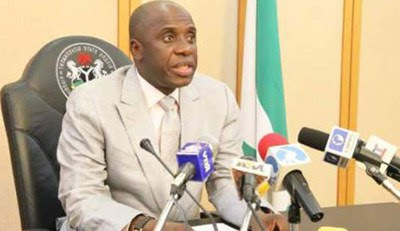 Amaechi spoke at the inauguration of the official uniforms for members of the Bus Conductor Association of Nigeria (BCAN), Lagos State chapter, yesterday in Lagos. The minister, represented by Mrs Anthonia Ekpa, the Director, Road Transport and Mass Transit Administration in the ministry, expressed his support for the initiative. impression about yourself and make yourself accessible. “ This is because you are the first point of contact to the public,’’ Amaechi told the bus conductors. He urged women to register as members of the association in view of the positive image being carved out base on the current attitudinal change and transformation introduced into conducting. Also, Mr Bobboi Kangama, the National President, Trade Union Congress (TUC), said that introduction of official uniform for the conductor was to ensure safety and security of the commuters. “This situation has become so disturbing and worrisome that if urgent and pragmatic measures are not taken, the safety and security of commuters will be greatly hampered. “Bus conductors are being fingered as the culprits and accessories to the commission of crimes which have over the years been plagued with the twin evil of “one chance’’ and kidnapping through the use of commercial buses,” he said. In his remarks, the National President of the association, Prince Israel Adeshola, said that introduction of official uniform was to tackle the security challenges facing transporters in the state. “Gone are the days when people attribute thuggery and touting to conductors, we are now organised with over 4,000 members in Lagos State,’’ Adeshola said. He said that the uniform would ensure proper service delivery to the commuters.